Whelan, Janna. 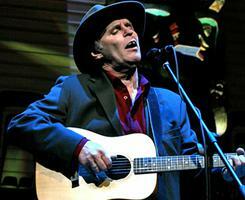 "Ron Hynes". 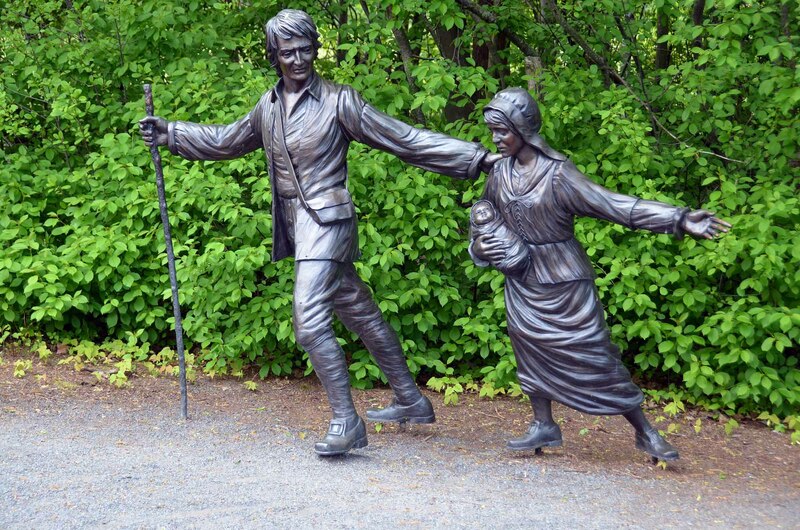 The Canadian Encyclopedia, 25 November 2015, Historica Canada. https://www.thecanadianencyclopedia.ca/en/article/ron-hynes-emc. Accessed 20 April 2019. Ron Hynes, singer, songwriter, guitarist, actor (born 7 December 1950 in St. John's, NL; died 19 November 2015 in St. John’s). ron hynes is the subject of william d macgillivray's 2010 film, The Man of a Thousand Songs (photo by Kent Nason, courtesy Picture Plant). Ron Hynes, singer, songwriter, guitarist, actor (born 7 December 1950 in St. John's, NL; died 19 November 2015 in St. John’s). Often referred to as the "man of a thousand songs," Ron Hynes began his career in the late 1960s with performances on the St. John's and Toronto pub and coffeehouse circuits. He released his first solo album, Discovery (Audat 477-9026), in 1972, and was the composer-in-residence for the Mummers Troupe (a now-defunct St. John's theatre company) 1974-6. 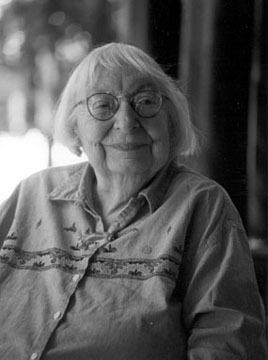 In 1976 Hynes wrote the folk classic "Sonny's Dream." The song has subsequently been covered by numerous artists, including Valdy, Emmylou Harris, Phil Coulter, and Christy Moore. In 1978 Hynes formed the Wonderful Grand Band, a highly successful folk-rock and comedy collective, with a number of Newfoundland musicians and CODCO comedians. Following the group's disbandment in 1983, Hynes focused on building a repertoire of new material. By 1992 Hynes had amassed an extensive collection of original songs and had signed a recording contract with EMI Music Canada. Although Hynes's two EMI-endorsed albums, Cryer's Paradise (1993, EMI Music Canada E4 89466) and Face to the Gale (1996, EMI Music Canada E4 36187), achieved little commercial success, they were critically acclaimed and allowed him to establish a national fan base. Despite his growing success, Hynes was dropped by the label and released his next three albums, 11:11 Newfoundland Women Sing (1997), Standing in Line in the Rain (1998), and The Sandcastle Sessions (2002), independently. In 2002 Hynes signed with the folk label Borealis. He subsequently released Get Back Change (2003, Borealis Records BCD 152), Ron Hynes (2006, Borealis Records BCD 175), and Stealing Genius (2010, Borealis Records BCD 205). One of Canada's most esteemed songwriters, Hynes has seen his songs recorded by countless Canadian and international artists, including Dolores Keane, Denny Doherty, Hayley Westenra, The Irish Descendants, John McDermott, Mary Black, Murray McLauchlan, Prairie Oyster, and Susan Aglukark. Hynes's tracks are primarily acoustic, and while rooted in folk and country music, they also incorporate aspects of rock and pop. A gifted storyteller, Hynes writes lyrics that chronicle the experiences of everyday people and often make reference to his home province of Newfoundland. Hynes has frequently written songs in collaboration with his ex-wife, Connie Hynes; the 1997 release 11:11 Newfoundland Women Sing comprises a collection of their songs. In addition to his music career, Hynes has found success as an actor. He made his theatre debut as celebrated Newfoundland balladeer Johnny Burke in The Bard of Prescott Street (1977) and has appeared in a number of Canadian film and television productions. Hynes is featured in the documentary films Ron Hynes: The Irish Tour (1999, Rosemary House, director) and The Man of a Thousand Songs (William D. MacGillivray, director), which debuted at the Toronto International Film Festival in 2010. In 1992 Hynes's song "The Final Breath," from the film Secret Nation (1992, Michael Jones, director), earned him a Genie award for best original song. In 1994 Hynes received a Juno Award nomination for best country male vocalist of the year. He has won numerous East Coast Music Awards, including country recording of the year (Cryer's Paradise), male artist of the year, and song of the year ("Man of a Thousand Songs") in 1994; album of the year and country recording of the year (Get Back Change) in 2004; and male solo recording of the year (Ron Hynes) in 2007. He received an honorary Doctor of Letters from Memorial University in 2002, and was nominated for best singer (contemporary) and best songwriter (English) at the 2006 Canadian Folk Music Awards. In 2008 Hynes was recognized with a SOCAN national achievement award for his success in songwriting.